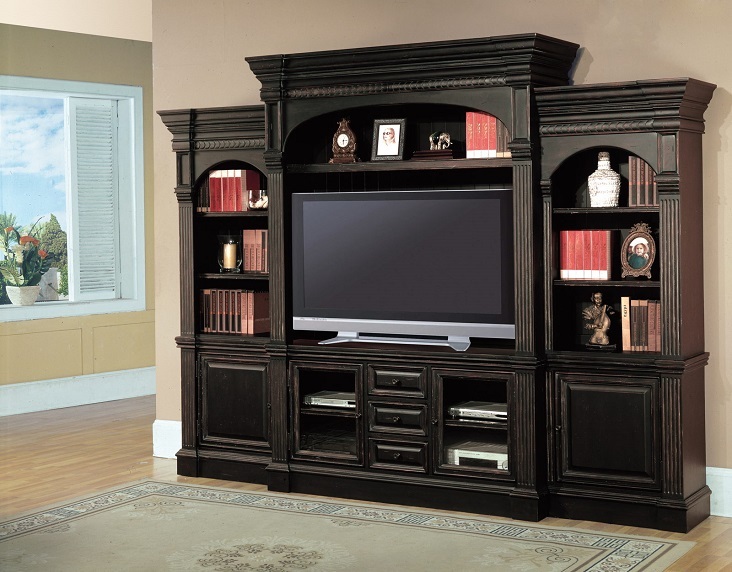 Add sophistication to your family room, home office or home entertainment room with the traditional style of the comprehensive Venezia Collection. 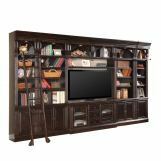 This collection of entertainment wall units and library home office configurations brings exquisite traditional Italian country style to life and offers amazing media storage and display. Constructed from poplar solids and birch veneers, pieces are finished in Vintage Burnished Black with visible distressing for heirloom appeal. Gorgeous beveled top molding, fluted pilasters and thick base molding present ornate detail and add a rich, warm design to your home. This collection features a variety of pieces to form wall units that provide ample shelf space and media storage to design the perfect setting. With the incredible functionality of the Venezia Estate Wall and Library Home Office Collection, you can create a rustic, traditional design that brings a luxurious style to your home.